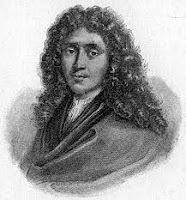 Molière (Jean-Baptiste Poquelin) (1622 – 1673), a fost un scriitor francez de teatru, director şi actor, unul dintre maeştrii satirei comice. hello there and thank you for your info – I've certainly picked up anything new from right here. I did however expertise some technical issues using this web site, as I experienced to reload the web site a lot of times previous to I could get it to load properly. I had been wondering if your web hosting is OK? Not that I am complaining, but slow loading instances times will sometimes affect your placement in google and could damage your quality score if ads and marketing with Adwords. Anyway I am adding this RSS to my e-mail and can look out for much more of your respective exciting content. Make sure you update this again soon.